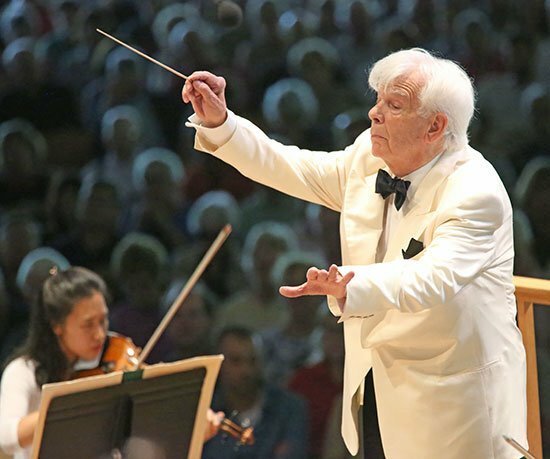 Christoph von Dohnányi, a beloved fixture as BSO guest conductor, generally programs only the most standard of the standard repertoire. Given the conductor’s decades of experience and the overall high standard of playing of the BSO, the music gets heard, the orchestra sounds pretty, and Dohnányi hits his landings solidly. At 85, and at the summit of an illustrious career, he has the right to do whatever he wants, but I find myself restless when he is in front of me. All that beautiful, burnished tone just keeps spinning out, with a paucity of new insights to catch the attention. This weekend he appeared at the Shed at Tanglewood with a two programs that epitomized standard: an all-Beethoven concert (the Fourth Symphony and the Violin Concerto) on Friday night, and an all-Mozart program consisting of the last three symphonies on Sunday afternoon. It turns out that von Dohnányi may not have a lot of surprises in store, but there were just enough this weekend to make one wish he would push just a little harder. Is there so little humor or mischief to be found in Beethoven’s Fourth as heard on Friday night? To take just one example, the appogiaturas in the third movement trio were graceful, noble, lyrical—but bland. The fourth movement moved along with great speed but it was all Lexus in a piece where there’s plenty of room to drive a much sportier vehicle. 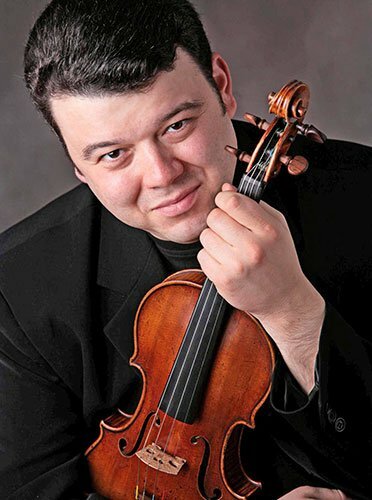 The soloist in the Beethoven, Vadim Gluzman making his BSO debut, showed moments that suggested more personality and flair. Not right away, though—the stateliness and low-key majesty established by Dohnányi at the start muffled him. Flashes of something more subtle and dangerous were audible in that uncanny passage near the end of the development, where Gluzman took advantage of the hush of the orchestra and Beethoven’s obsessive little repetitions to suggest something odd and disturbing underneath. He chose to play the Milstein cadenzas, late Romantic essays full of multiple stops that sounded gratifyingly deranged in this otherwise rather polite setting. But Dohnányi still had something to show us—the wind playing in both Beethoven works was especially gorgeous, the sound of the massed players fairly blooming when they were given focus. If my ears heard right, there was even a bit of tension in the third movement—Gluzman straining at the bit and pulling the orchestra up to his level of energy. There were hints of drama and style in his playing that make one wish to hear him in a less buttoned-down environment. Presenting all three of the final Mozart symphonies on a Sunday afternoon is selling masterpieces by the linear foot. There is too much for the careful listener to be able to absorb without feeling exhausted. Indeed, careful listening showed up some troubling issues with the performances. Very often Dohnányi doesn’t so much conduct as preside: he stands moving his baton very little or not at all, and points and gestures as the sound whirls around him. This gives the orchestra great flexibility to respond, but it inevitably leads to problems of ensemble and uneven entrances. Complex episodes of the first movement developments in both the 40th and the Jupiter were hashy and dense; there was some “splat” in wind entrances in the slow movement of the 39th. As a whole, the 39th symphony was the most successful, as its lighter character seemed to accord with this casual approach to interpretation. The 40th had gravity but little pathos; dissonances that would have sounded grating and upsetting to Mozart’s audience here sounded pure and toothless. But the second movement had some simply lovely details: the constant appogiaturas in the movement had different characters in different contexts all three of the final Mozart symphonies at times snapping sharply, at others connecting in a more lingering fashion, matching the slow roiling of Mozart’s writing. Then came intermission, where I was thinking “this is why we have Dvorak symphonies”—something pleasing and well-made but less demanding. But when we returned for the Jupiter —maybe it was just exhaustion or Stockholm Syndrome—but I found the second movement revelatory and deeply moving. The sound of the muted strings had a texture that seemed soft to the touch, and whose long lines sustained a deep sense of yearning and tension, even a distant buried wildness. It seemingly lasted forever, which was just the right amount of time. The next two movements returned to the same well-crafted routine, but could not dispel the memory of that slow movement. All in all, I am glad I was there to hear it.